The California Department of Fair Employment and Housing (DFEH) has issued some Frequently Asked Questions (FAQs) discussing the new sexual harassment prevention training requirements that will have an impact on virtually every business in the state and all those businesses’ employees and supervisors. In the FAQs, the DFEH has clarified that the law requires that all employees be trained during calendar year 2019. This means that employees, including supervisors, who were trained in 2018 or before will need to be retrained again in 2019. Current law requires employers with 50 or more employees to provide supervisors with 2 hours of sexual harassment prevention training. SB 1343 (Chapter 956, Statutes of 2018) requires that all employers of five or more employees provide 1 hour of sexual harassment and abusive conduct prevention training to non-managerial employees and 2 hours of sexual harassment and abusive conduct prevention training to managerial employees once every two years. Existing law requires the training to include harassment based on gender identity, gender expression, and sexual orientation and to include practical examples of such harassment and to be provided by trainers or educators with knowledge and expertise in those areas. Under SB 1343, there is no requirement that the five employees or contractors work at the same location or that all work or reside in California. Under the DFEH’s regulations, the definition of “employee” includes full-time, part-time and temporary employees. The California Chamber of Commerce offers training courses for both supervisor and non-supervisor employees. Businesses can purchase training now to comply with the deadline, but not assign the training to those employees until after January 1, 2019. 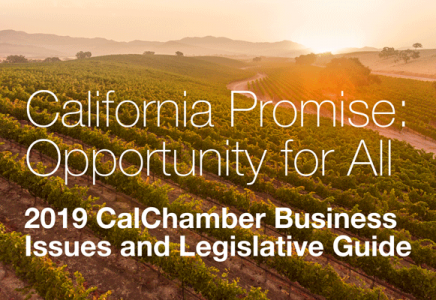 CalChamber’s course is improved for 2019 and provides an excellent platform for people to take the training on their smart phone, as well as a tablet, laptop or desktop. For more information, visit our harassment training store page. For more information on sexual harassment in California, CalChamber members can visit the HR Library’s Harassment page. Not a member? Learn more about how CalChamber can help you.